Barbarian in Dragon Nest SEA is a one tough-mean dude. They love to rush into enemies with reckless abandon and brutalize them with their raw power and strength. With the right skills, Barbarians are nearly unstoppable and a force to be reckon in the world of Lagendia. The only question now is, what are those skills suited for a Barbarian? 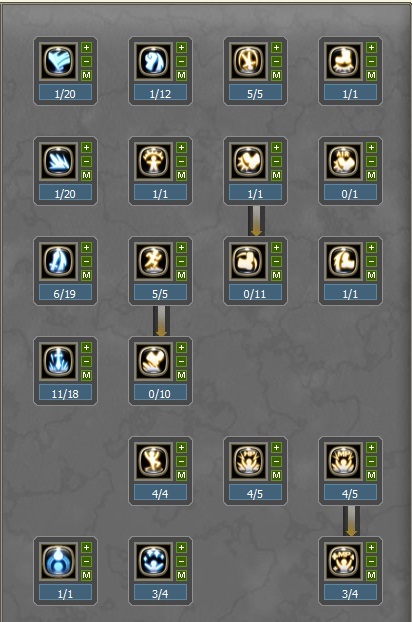 In this page, I will discuss every Best Barbarian Skill Build in Dragon Nest SEA (Guide). I will enlighten you on what skills to pick and what skills to leave behind to become the most powerful Barbarian in the game. I myself has a Barbarian and I want to share to you my preferred skill build for Barbarian. However, remember that this will only be a guide and at the end of the day, it will be your decision to follow my guide or improvise a little. Must Read: Before you decide to max out a skill, I strongly suggest that you level your character to 50 first. Also, the skills that are in red text are the ones you must prioritize to get or max first. Heavy Slash- Don't add any SP on this skill. Has great damage increment when leveled up and has a very low cooldown but, you won't have space for this skill on your hotkey as you'll definitely prefer those hard-hitting skills. Impact Punch- Don't add SP on this skill. It might be useful in PVP as it can launch a target in the air but, the damage isn't significant when increased compared to other skills. Impact Wave- Don't put SP on this skill. Has good damage, low cooldown and mid-range attack that can cause knock down but, the only problem is it uses the magical attack side of a Warrior. Rising Slash- Level this skill to 6. A good skill to allocate points to suffice the SP requirement on the Warrior skill tree to get the Mercenary skills. In addition, this skill can be a good asset in PVP as it can be part of your chaining combo. Circle Break- I put the remaining SP on this skill. Has a good damage when leveled up high plus, it has super-armor breaking capability. Also, this skill can cause knock down to opponents in PVP matches. Highlander- Get this skill. You'll need this skill to ensure that you and your party will survive in tough Nests such as SDN. Relieve- I usually level this skill to 3 as the 2 debuffs removed is very helpful in PVP. Tumble-Max this skill. One of your evasion skill and as well as the skill you need to cast first to start off dashing. Wake Attack- Put 1 SP on this skill. It let's you get back up immediately while doing damage when you have been put into the ground. Dropkick- Personally, I don't like this skill. Other guide will say that it's helpful for Mercenary in PVP but the reality is, you won't even bother casting this skill in the field. Mercenaries often wants their opponents laying on their back than doing aerial combos. 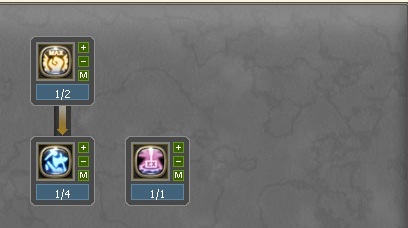 So, I think this skill will be useless for this class. Sweeping Kick- I rather not get this skill and spend the SP meant for to those skill which are really needed. Believe me, this skill isn't that good as what they've said to be in PVP. Soccer Kick- Put 1 SP on this skill for prerequisite. You really need this skill to get Soccer Kick Combo which will be your first attack to start a combo in PVP matches. Dash- Max this skill for highest mobility. Dash Kick- You have the choice to get this skill or not. In my case, I don't get this skill as often times I use Soccer Kick Combo to do more damage than this skill. Aerial Evasion- Max this skill as this is your only way out if you're being juggled in the air. 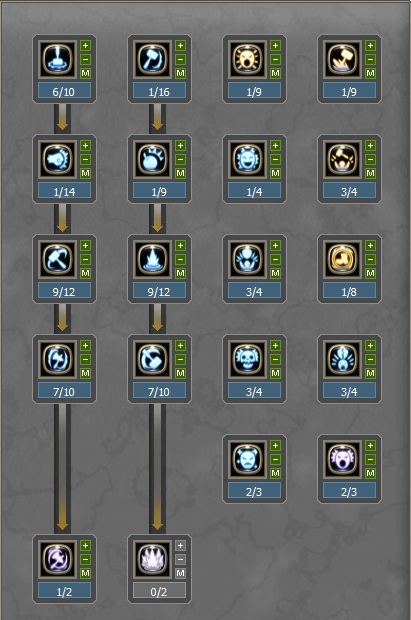 Physical Mastery, Mental Mastery, Mind Conquer- Max all these skills as they are very helpful in completing the SP requirement on the Warrior skill tree and mostly, it can increase you HP, MP and MP recovery respectively. Stomp- Level this skill to 6 to get Ex version. A very good skill to have especially with the Ex version. It does decent damage and can slow target for 8 second which is really crucial in PVP. Demolition Fist- Put 1 Sp on this skill for prerequisite. It does have decent damage when leveled up however, I would rather put the SP meant for leveling this skill to those skills which has high damage and with decent AOE. Update: I have a change of heart with this skill. The damage dealt by this skill is pretty significant and in fact, it does a lot of damage than Circle Swing. And since Barbarian may get an Ex version for this skill, I have decided to max this skill now. To max this, take out the skill points invested on Rising Slash. Just level that skill to 6 and put the rest of the points here. Circle Swing- One of the most awesome skill in the Mercenary skill tree. It does tremendous damage when leveled high and has a wide AOE. But the best part is, it can launch enemies into the air and after that, they fall down on the ground face first. A must max skill in the Mercenary skill tree. Whirlwind- Max this skill. Due to skill revamped, the damage increment has become insanely high. Very good in terms of dealing damage to the enemies. Flying Swing- I'm not really a fan of this skill as it has a very slow casting speed. However, it can deal huge damage when it hits a target and can launch them way up high into the air. Just put 1 SP on this skill. Punishing Swing- Put 1 SP on this skill. Not really a damage-type skill but only a utility skill. It enables you to throw a ball at long distance and when it hits, it can cause enemy to stagger. I only put 1 level on this skill for utility purposes. Ring Bombs- This is one of my favorite skills in the Mercenary skill tree. It's a long range attack which causes a lot of mayhem. When this skill hits, not only that it will inflict a lot of damage but it will also launch the target very high to the air (and then they land flat on the ground). There's no other option than to max out this skill. Rolling Attack- Max this skill for highest damage output. The damage increment is insanely great when you level this skill. However, it needs a lot of practice making this skill hit a target. In terms of PVP, you need to be at a very close range to your target, then aim front (facing him) so that you can carry him into the air and bring him down to the ground with force. When you do this, the enemy will receive the whole damage. Crisis Howl- Put 1 SP on this skill, especially when you are a PVP lover. You really need this skill to get out in times when you have been staggered by the enemy and surrounded by a lot of threats. Taunting Howl- I prefer leveling this skill to 1 for PVP purposes. This skill can flinch targets and, this effect is very important in PVP. I only use this skill for utility purposes in PVP. If Crisis Howl is off cool down, this will be a good replacement. Iron Skin- Max this skill. At max level, this skill give you a 45% super-armor for 30 seconds which will decrease the damage you taken from enemy attacks and avoid being stunned. Howl Charging- Max this skill. This skill should be max, especially when you plan to become a PVE-type Barbarian. In most cases, this skill is really needed to reduce both physical and magical and magical damage taken by the caster and the party. Devitalizing Howl- Put 1 SP if you're a PVP type while max this skill if you're going PVE. Aside from damage, it can silence enemies and remove buffs casted by them. Can hit opponents while they are laying helpless on th ground. Dash Blow- Put 1 SP on this skill. After Dash, you can activate this skill to launch enemy into the air. A great skill to have in PVP. Toughness- Max this skill for the extra physical damage taken reduction. Soccer Kick Combo- Put 1 SP on this skill. After Dash Blow, you can then use this skill to kick the enemy and then perform a stomp at the very end. Very good skill in PVP. Battle Howl- Prioritize maxing this skill. One of the greatest buffs in the game. It will give you and your party additional physical/magical attack power, critical increase and high stun chance. It has a 10 seconds cooldown and will last for 180 seconds. How good is that? Havoc Howl- Max this skill. Release a furious roar to the enemy which will decrease both their attack and magic power greatly for 20 seconds. A very usefull skill in terms of PVE and might also help in PVP. Just make sure that your opponent is on the ground before you cast this skill in PVP. If you're going Barbarian, then get Cyclone Axe and only Cyclone Axe. Some builds will tell you that a dual ultimate for Barbarian is great which is really misleading and wrong. Yes, you will have an edge if you both got Gigantic Bomb and Cyclone Axe in your skill tree but the fact is, both ultimate share the same cooldown which means that you can only use one at a time and, the cooldown for the two skills are very high. In my opinion, it is better to invest the points meant for this to those skills which can dish out huge damage and with average or low cooldown. Overall, getting two ultimate will be a waste of time and can definitely ruin your skill tree. Bonus Tip: At level 60 cap, I am planning to go with dual ulti as a Barbarian but for now, due to SP shortage, I just prefer on ultimate. Offend Hit- Put 1 SP on this skill. A passive skill which deals additional damage at the amount of the characters maximum physical attack power. At level 1, the trigger rate will be 10%. Not much of a reliable skill though as the trigger rate is very low but it can add significant amount of damage to your attacks when it's triggered. Stomp Ex- Put 1 SP on this skill. With this passive skill, your Stomp will look awesome as it will send out one more wave of damage in the range of 2.5m to 5m after the initial range attack. In addition, it will add up 30% range damage to your stomp. Bone Crash- Put 1 SP on this skill. The name itself tells what the skill do to the enemies. You jump to the air then deliver a crushing blow to the enemies in front to break their bones. It has a 35 seconds cooldown and has a 541.8% +2382 damage at level 1. The best part is, when this skill hits, your next skill will gain an additional 239 damage per hit within 10 seconds. Rolling Attack- +20% damage increase. Iron Skin- +20% buff duration. Howl Charging- 20% decrease cooldown. Side Kick- +50% action speed. Cyclone Axe- 12% decreased cooldown. So, there you have it. This is my skill build for my Barbarian which makes me enjoy my character a lot more than any other skill builds out there. With this build, I ensure you that you'll be very useful in Nest Raids such as SDN and also, you'll definitely defeat every opponent standing in front of you in PVP, provided that you use the proper combo and as well as devised a well-planned strategy to fight against each classes. Did you find my article "Best Barbarian Skill Build in Dragon Nest SEA (Guide)" helpful? If you do, then write down some feedbacks on the comment box or share your thoughts about my article. Suggestions and recommendations are also accepted.